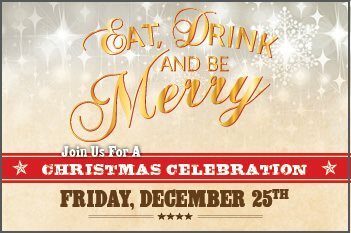 Eat, Drink, and Be Merry at our Christmas Celebration! Bacon, Specialty Sausage, and Much More! Homemade Pasta and so much more!